The SOLITINE Liner Fixed Wall Mount Cabinets provide stability and durability for your valuable server and network equipment. The feature rich design gives you a universal enclosure, guaranteed to function for a variety of applications. 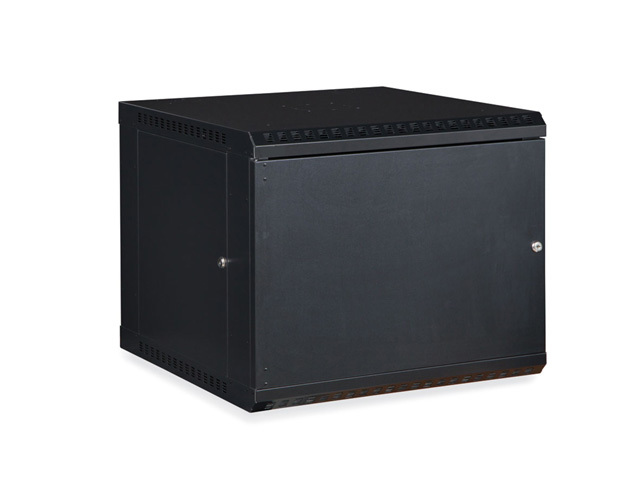 Included is one set of fully adjustable cage-nut style rails, removable top and bottom cable slot panels, and numerous laser knocouts are strategically placed to provide a plethora of locations to feed CATx or fiber optic cabling into the cabinet, or to install an optional fan kit for temperature control.